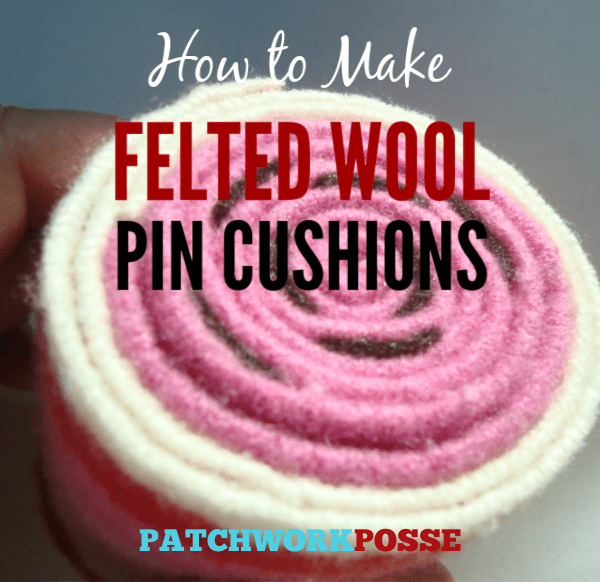 Learn how to make a felted wool pincushion….there are lots of options when it comes to felted wool and what pincushion designs you can make. 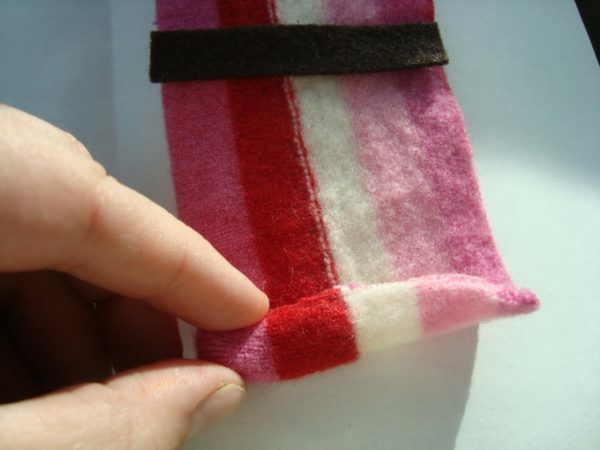 Strips of felted wool make the perfect material for making pincushions. 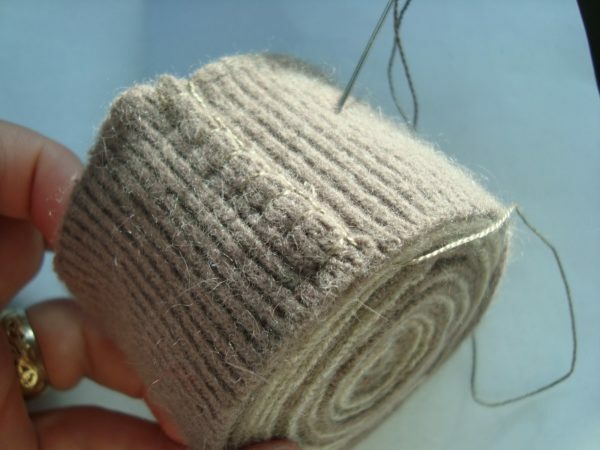 For the materials I went with felted wool sweaters, but the process is the same for using strips of wool felt. So, either will work. Because of the subject of the final pincushion, I choose my colors accordingly. 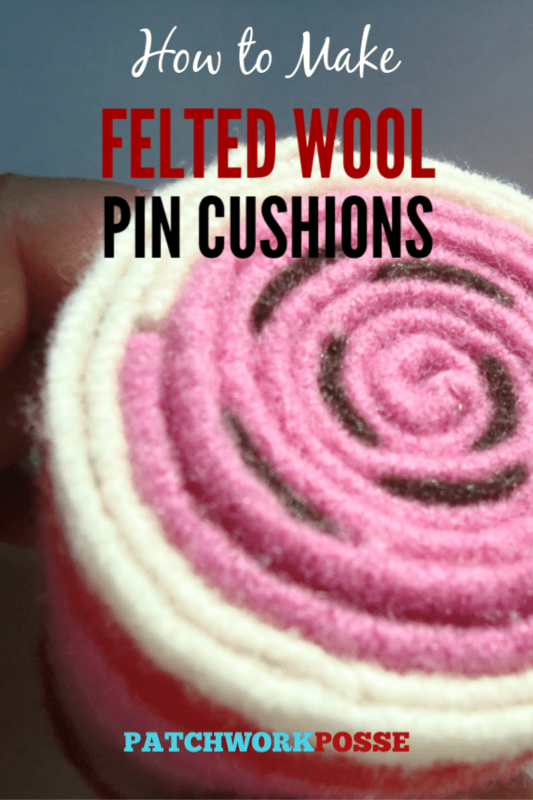 This is a great way to explore some fun wool colors though and think outside of the box. wool sweaters- 100% wool sweaters. 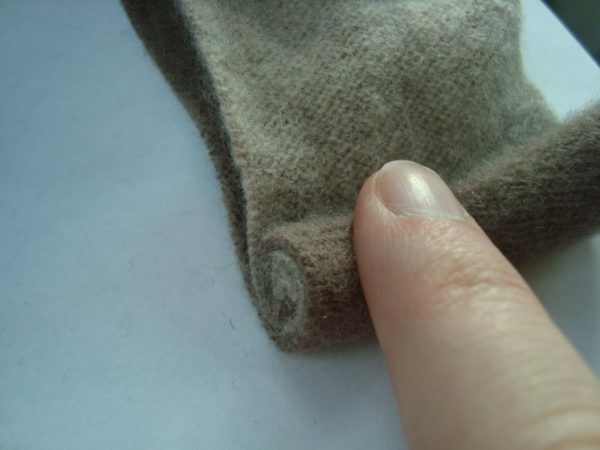 You can use wool felt also or normal felt too–but the wool is much cuter. These sweaters/felt need to be felted. Give it the hot/cold bath and shrink that baby down. 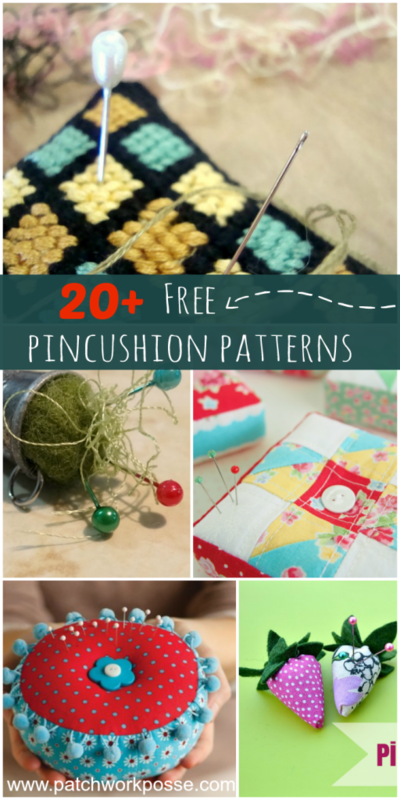 You don’t want strings or things to pull your pin cushion apart. You can pre-think this also, as far as colors go. I made a watermelon and a tree trunk….so i would need colors that will work for that. get it? Stripes work too. You can decide which color to use at the end. 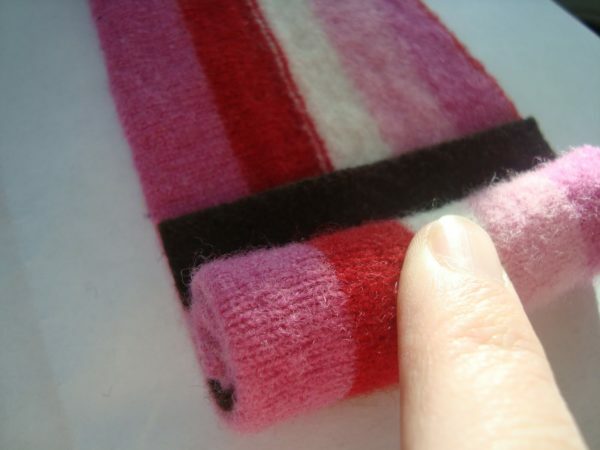 Cut your felted wool strips. You need to decide how tall to make the pin cushion. I wouldn’t recommend anything larger than 3″. You will end up with a tower if you do. Maybe that is what you want…..hmmmm.. I like the 2″ or 2 1/2″ strips personally. The strips should be around 12″ long or longer. * If they are shorter you can use them but will be butting a lot of ends, and that can become not fun. 1- Start your roll small or you will end up with a hollow center. 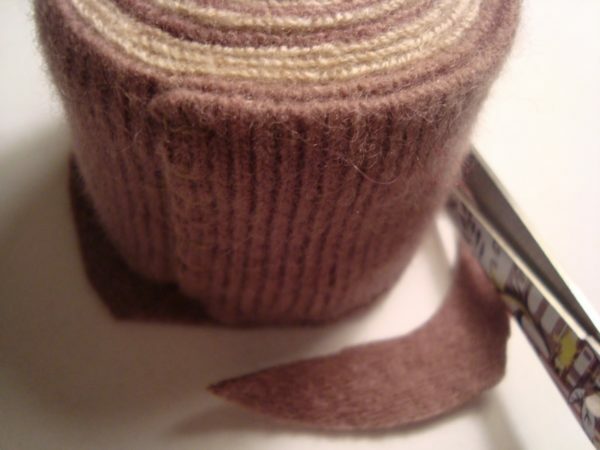 2- For the ‘seeds’ i added some 1/2″ strips of dark brown or black wool. 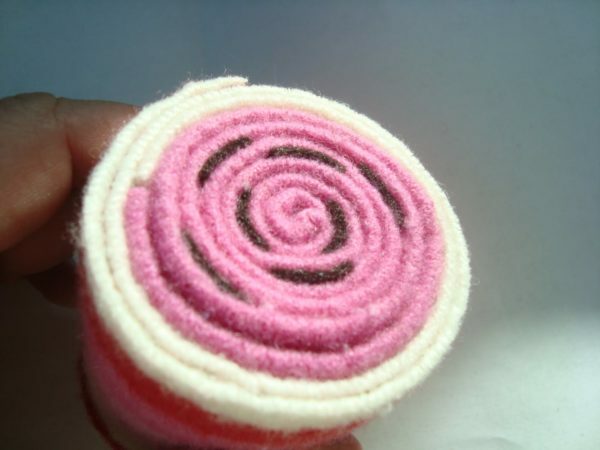 You need to roll a bit in the center and then start placing the ‘seeds’ and roll some more. You can totally try out the placement of the seeds. 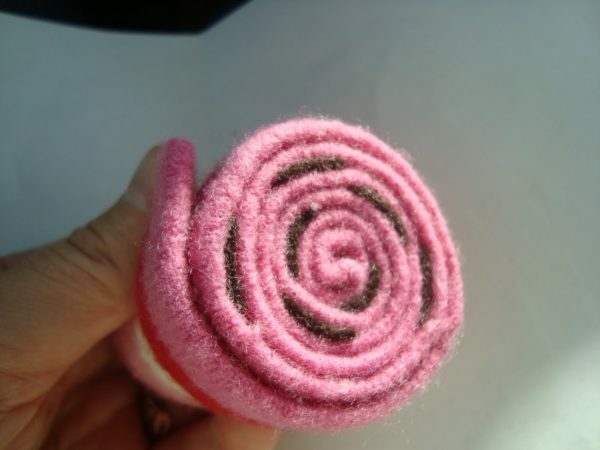 Stick one in ….roll….take a look…unroll and change placement if you don’t like it or keep on roll’n if you do. I used a pink striped sweater and made sure the pink was at the end that would show. Stripes are great that way. When you are at the end of one color and want to begin another…just but the ends up together. They will be covered by another roll so don’t worry too much. Just make sure they stay together. Notice, I cut the next strip with the white on the top—for the rind! Handy that stripe is…told ya. This trunk starts off just the same way. 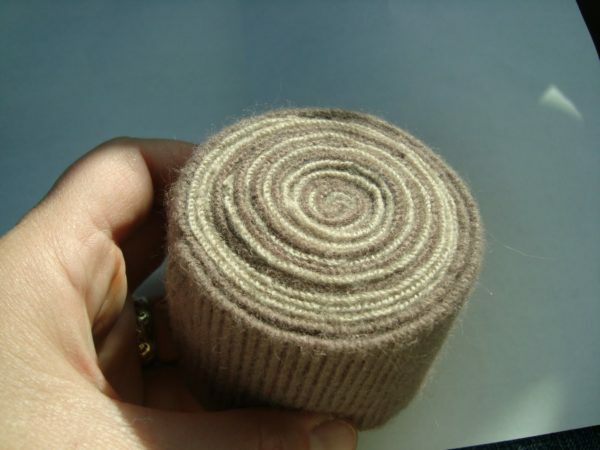 I did use a light brown and a dark brown wool strips together. Just layer them on top of each other—making sure that on edge is flush. Oh my goodnes….a moth hole!! who cares!! It will be rolled right into the middle and lost forever. yay! Keep rolling, rolling, rolling until you have it as fat as you like it. If you need to add strips, again just but them up to each other and continue rolling. Fun!!! 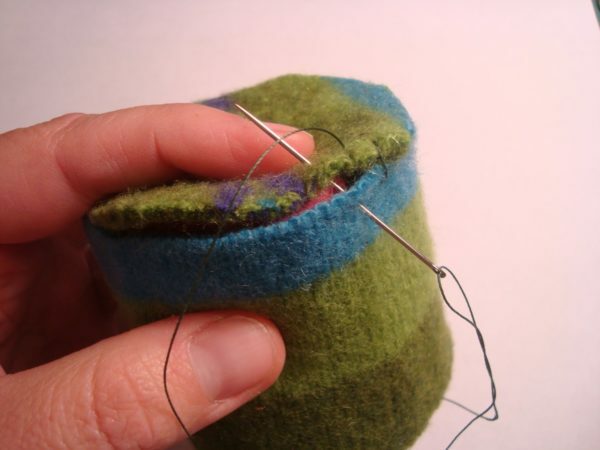 You will just want to pin it in place and then do a button hole stitch along the cut edge. Gives it a cute little end + keeps it together. 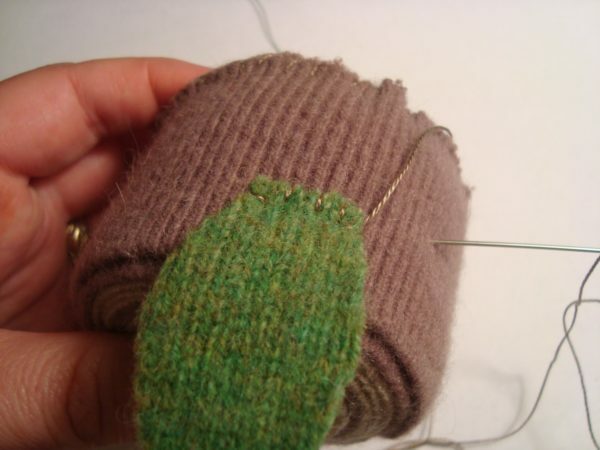 Great picture tutorial and video walking you through the button hole stitch process here. Here is the top—nice and flush. Here is the bottom….all fluffy and mismatched. Don’t freak out! It will be covered up. Top- nice. Bottom-not nice. Now you need to make a bottom to cover up that mess of a roll. 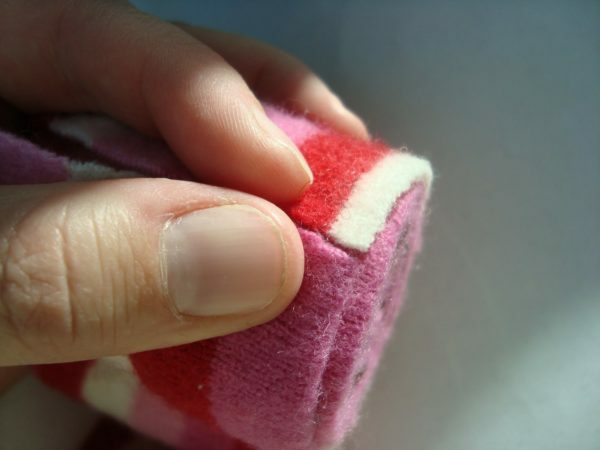 1) Trim the bottom as best as possible. Just get rid of the big edges and make things look a little better. This will give you a flatter bottom too. 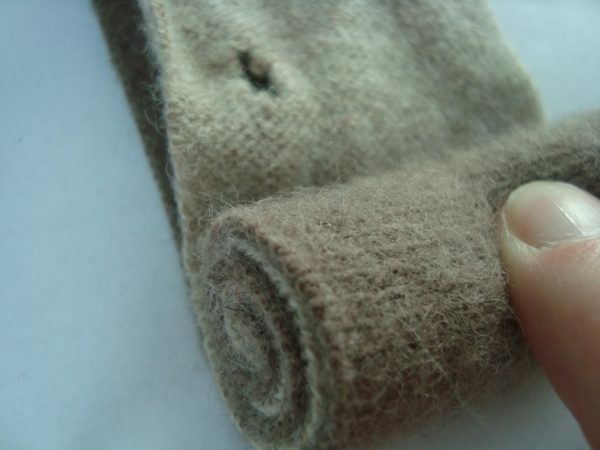 2) Lay the pin cushion on top of the wool you are using for the bottom, and start trimming with scissors. 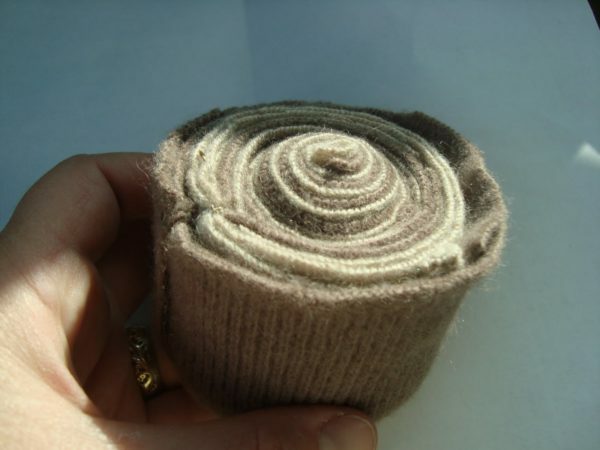 Get it as nice as possible, but remember..it is wool and will stretch and you can make it nice. So don’t go think’n you have wasted wool if it isn’t cut just perfect. See-not perfect bottom…Now whip stitch, button hole stitch or whatever stitch you would like to use. Stitch it to the sides. I added some green wool leaves onto the sides for cuteness sake. Add any embellishment you can think of.